Between November and December, Internet Explorer gained 0.01 percentage points. Firefox meanwhile fell a whopping 0.62 percentage points, while Chrome managed to gain a huge 0.80 percentage points (though it still did not manage to regain its losses from the previous month). Safari dipped 0.09 percentage points and Opera picked up 0.04 percentage points. 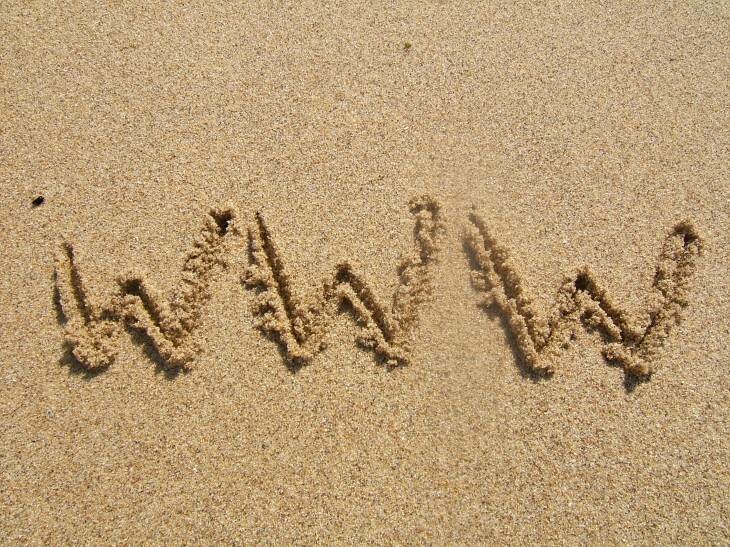 At 54.77 percent, Internet Explorer is still growing, although more slowly. While it may not have ended the year with 55 percent of the pie, it still has more than half of it. Despite Windows 8’s release, however, IE10 is having a hard time pushing things forward. 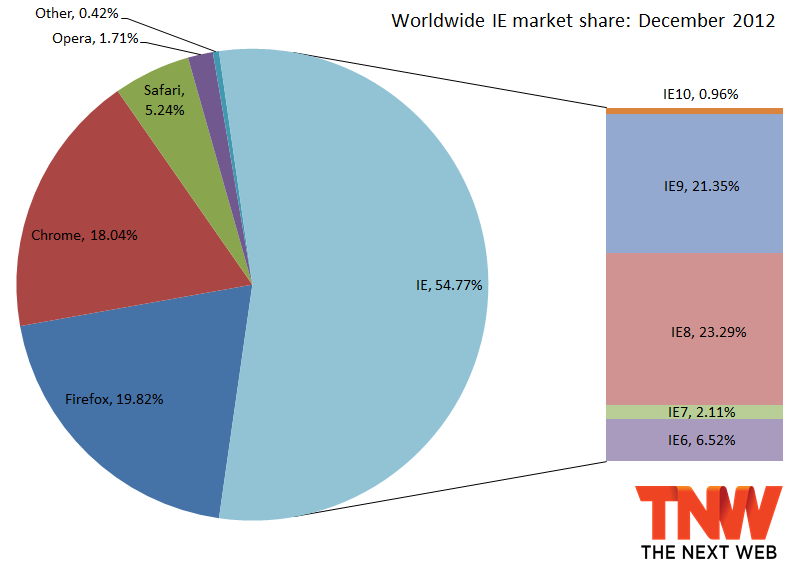 IE10 managed to capture just 0.96 percent in December, while IE9 grew to 21.35 percent (up by 0.55 percent percentage points). IE8 lost just a sizeable 1.20 percentage points, but it’s still the world’s most popular browser at 23.29 percent. IE7 dipped 0.15 percentage points and IE6 somehow managed to gain 0.01 percentage points. Everyone can’t wait for it to fall below the 5 percent mark, but that won’t happen till sometime this year; even Microsoft wants it to die; but China isn’t letting that happen. 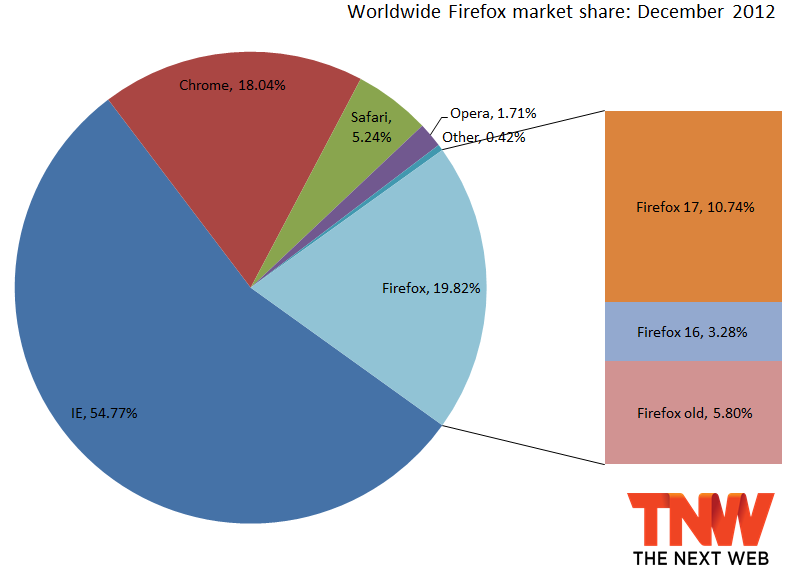 At 19.82 percent, Firefox has once again fallen under one-fifth of the market, a spot it seems to be hovering around. Firefox 17 managed to grab another 9.59 percentage points, at mainly Firefox 16’s expense which fell 9.65 percentage points. All the older versions lost share: Firefox 15 was down 0.36 percentage points, Firefox 14 was down 0.13 percentage points, and Firefox 13 lost 0.08 percentage points. 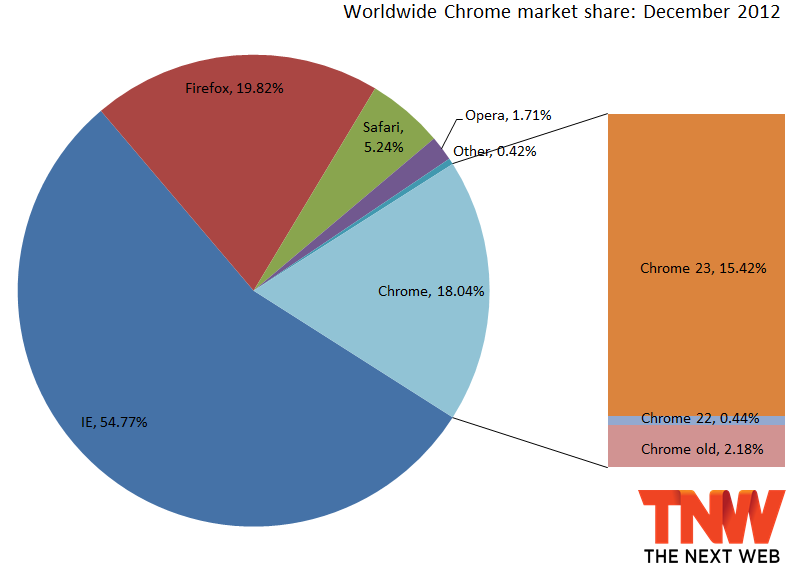 At 18.04 percent, Chrome is still just behind Firefox, and now it’s finally gaining again. After three months straight of losses, Google’s browser has failed to pass Firefox in 2012, but is likely to do so this year. Chrome 23 was up 4.90 percentage points, while all the other versions lost share. Chrome 22 was down 3.43 percentage points, Chrome 21 fell 0.12 percentage points, and Chrome 20 dropped 0.21 percentage points. It’s great to see the majority of Chrome users on the latest version. Before 2012 was out, I predicted IE9 to pass IE8, Chrome to pass Firefox, and for IE10 to start a steady growth, all before the end of the year. The first two did not happen, and the third is showing a weak start so far. Net Applications uses data captured from 160 million unique visitors each month. The service monitors some 40,000 Web sites for its clients. StatCounter is another popular service for watching market share moves; the company looks at 15 billion page views. To us, it makes more sense to keep track of users than of page views. Nevertheless, for December 2012, StatCounter listed Chrome as first with 36.42 percent share, IE in second with 30.78 percent, Firefox in third with 21.89 percent, Safari with 7.92 percent, and Opera with 1.26 percent. Update: Net Applications tweaked its figures and the data in this post has been updated accordingly.